In the 17th century, Harvard was all about preparing men to serve God. It was about educating ministers. And ministers were arguably the most deeply respected men of their day. 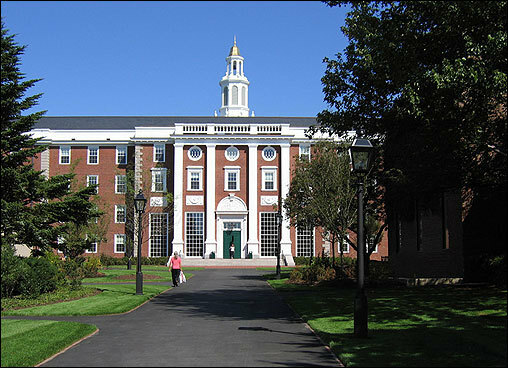 In the 21st century, Harvard has a new god — mammon. Harvard grads today most commonly reach for the big bucks in the world of banking and finance and Wall Street. And those who succeed in their get rich quick positions are arguably the most deeply celebrated (if not universally respected) men and women of this American moment. If you accept for the moment that America’s brightest and best attend Ivy League universities like Harvard and Princeton, what does it say that so many of our most promising young aspire as their highest cause in life to make money and lots of it by manipulating financial markets? As of 2011, finance remained the most popular career for Harvard graduates, sucking up 17 percent of those who went from college to a full-time job. At Yale, 14 percent of the 2010 graduating class, and at Princeton, 35.9 percent, were headed into finance. At Harvard and Yale, at least, the numbers have drifted down in recent years. Harvard’s 2008 class sent 28 percent of its gainfully employed graduates to Wall Street, while Yale sent 26 percent. More than one-third of Princeton grads went into finance in 2010: Incredible! Isn’t it high time to change our national motto? How about “In Mammon We Trust”? Posted on October 28, 2013 by wjastorePosted in Higher Education, SocietyTagged god, Harvard, Ivy League, mammon, Princeton, success, Wall Street, Yale. I started writing for TomDispatch, a remarkable contrarian site founded and edited by Tom Engelhardt, a fine editor/writer and even finer gentleman, in October 2007. My first article was on the Petraeus surge and how President Bush and his administration were hiding behind the absurdly bemedaled and beribboned uniform of that general. Tom Engelhardt’s generous and consistent support of my writing opened new possibilities for me. More importantly, Tom helped me to think for myself. I’ve also met some great people through my writing, including the co-founder of The Contrary Perspective, b. traven. I’ve greatly enjoyed the six years I’ve written for TomDispatch. 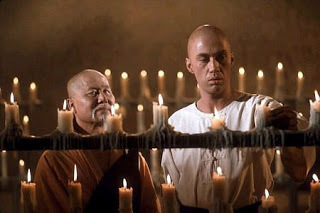 What follows is my 33rd original article (or “Tomgram,” as we like to call them) — and yes, it’s hard for me to believe that number, since I really thought I’d write only one or two. Thanks so much Tom, Nick, and all the other editors and writers at TomDispatch. It’s been a fun and enlightening ride. There is a new normal in America: our government may shut down, but our wars continue. Congress may not be able to pass a budget, but the U.S. military can still launch commando raids in Libya and Somalia, the Afghan War can still be prosecuted, Italy can be garrisoned by American troops (putting the “empire” back in Rome), Africa can be used as an imperial playground (as in the late nineteenth century “scramble for Africa,” but with the U.S. and China doing the scrambling this time around), and the military-industrial complex can still dominate the world’s arms trade. In the history of war, such commercial transactions took many forms, whether as territory conquered, spoils carted away, raw materials appropriated, or market share gained. Consider American wars. The War of 1812 is sometimes portrayed as a minor dust-up with Britain, involving the temporary occupation and burning of our capital, but it really was about crushing Indians on the frontier and grabbing their land. The Mexican-American War was another land grab, this time for the benefit of slaveholders. The Spanish-American War was a land grab for those seeking an American empire overseas, while World War I was for making the world “safe for democracy” — and for American business interests globally. Even World War II, a war necessary to stop Hitler and Imperial Japan, witnessed the emergence of the U.S. as the arsenal of democracy, the world’s dominant power, and the new imperial stand-in for a bankrupt British Empire. In societal calamities like war, there will always be winners and losers. 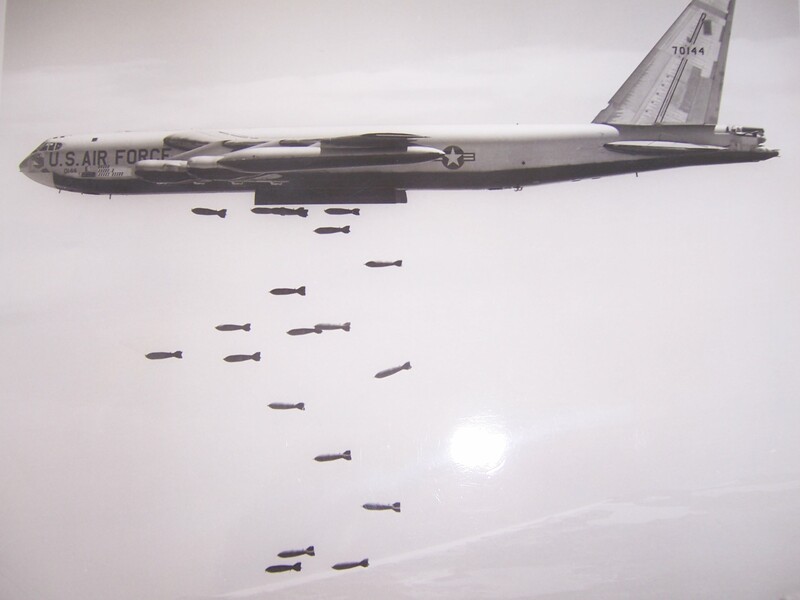 But the clearest winners are often companies like Boeing and Dow Chemical, which provided B-52 bombers and Agent Orange, respectively, to the U.S. military in Vietnam. Such “arms merchants” — an older, more honest term than today’s “defense contractor” — don’t have to pursue the hard sell, not when war and preparations for it have become so permanently, inseparably intertwined with the American economy, foreign policy, and our nation’s identity as a rugged land of “warriors” and “heroes” (more on that in a moment). Most Americans are, however, discouraged from thinking about war this way thanks to the power of what we call “patriotism” or, at an extreme, “superpatriotism” when it applies to us, and the significantly more negative “nationalism” or “ultra-nationalism” when it appears in other countries. During wars, we’re told to “support our troops,” to wave the flag, to put country first, to respect the patriotic ideal of selfless service and redemptive sacrifice (even if all but 1% of us are never expected to serve or sacrifice). We’re discouraged from reflecting on the uncomfortable fact that, as “our” troops sacrifice and suffer, others in society are profiting big time. Such thoughts are considered unseemly and unpatriotic. Pay no attention to the war profiteers, who pass as perfectly respectable companies. After all, any price is worth paying (or profits worth offering up) to contain the enemy — not so long ago, the red menace, but in the twenty-first century, the murderous terrorist. For a synthesis, we need only turn from Carl or Karl to Cal — President Calvin Coolidge, that is. “The business of America is business,” he declared in the Roaring Twenties. Almost a century later, the business of America is war, even if today’s presidents are too polite to mention that the business is booming. As Russian revolutionary Leon Trotsky pithily observed, “You may not be interested in war, but war is interested in you.” If war is combat and commerce, calamity and commodity, it cannot be left to our political leaders alone — and certainly not to our generals. When it comes to war, however far from it we may seem to be, we’re all in our own ways customers and consumers. Some pay a high price. Many pay a little. A few gain a lot. Keep an eye on those few and you’ll end up with a keener appreciation of what war is actually all about. No wonder our leaders tell us not to worry our little heads about our wars — just support those troops, go shopping, and keep waving that flag. If patriotism is famously the last refuge of the scoundrel, it’s also the first recourse of those seeking to mobilize customers for the latest bloodletting exercise in combat as commerce. 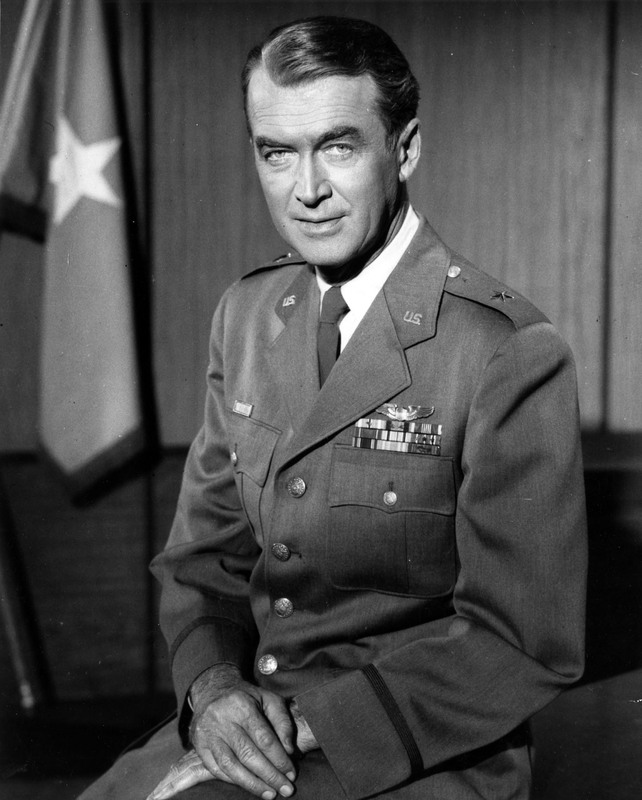 William Astore, a TomDispatch regular, is a retired lieutenant colonel (USAF). He edits the blog contraryperspective.com and may be reached at wjastore@gmail.com. Copyright 2013 William J. Astore. Posted on October 18, 2013 by wjastorePosted in US Foreign Relations, US Military, warTagged 2008, Bush Administration, George W. Bush, Iraq, Iraq War, Petraeus, revolution, Saddam Hussein, The Surge, WMD. Back in the ancient time of 2007, you may recall that color-coded threat warnings were constantly appearing on our TV screens. 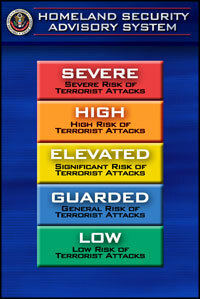 Those “Homeland Security threat advisory ratings” fluctuated between yellow (elevated) and orange (high). With the lone exception of the State of Hawaii in 2003, the threat ratings never dropped to blue (guarded) or (heaven forbid) green (low). It was like we were in an old Star Trek episode with Captain Kirk, stuck on a bridge that’s constantly on Yellow Alert, phasers and photon torpedoes locked on target. Thankfully, the Department of Homeland Security finally ditched the color-coded warnings. But have we ditched the mentality that drove them? Are we not encouraged still to be afraid? Yes, terrorism remains a threat. I’m sure there’ll always be terrorists of some sort who seek to harm us. But we’ve made a lot of progress in the so-called global war on terror. We killed Osama Bin Laden. We devastated Al Qaeda. Indeed, as we teeter on the brink of national financial default, one of the bigger threats we seem to face is our own divided and ineffectual government. While it appears a last-minute deal is in the works, it’s one of those “solutions” that just kicks the can down the road a few months. We’ll doubtless be dealing with the same governmental gridlock — the same hostage-taking — after the New Year. Hmm: Maybe we should revive that color-coded warning system. But let’s apply it, not to the terrorists outside our borders, but to our own politicians who continue to threaten us with financial default and societal ruin. Come on, Homeland Security! Protect us from those who’d destroy our government. Or are you shut down too? A few years ago I was talking to an experienced U.S. Army lieutenant colonel, a battalion commander in Iraq. 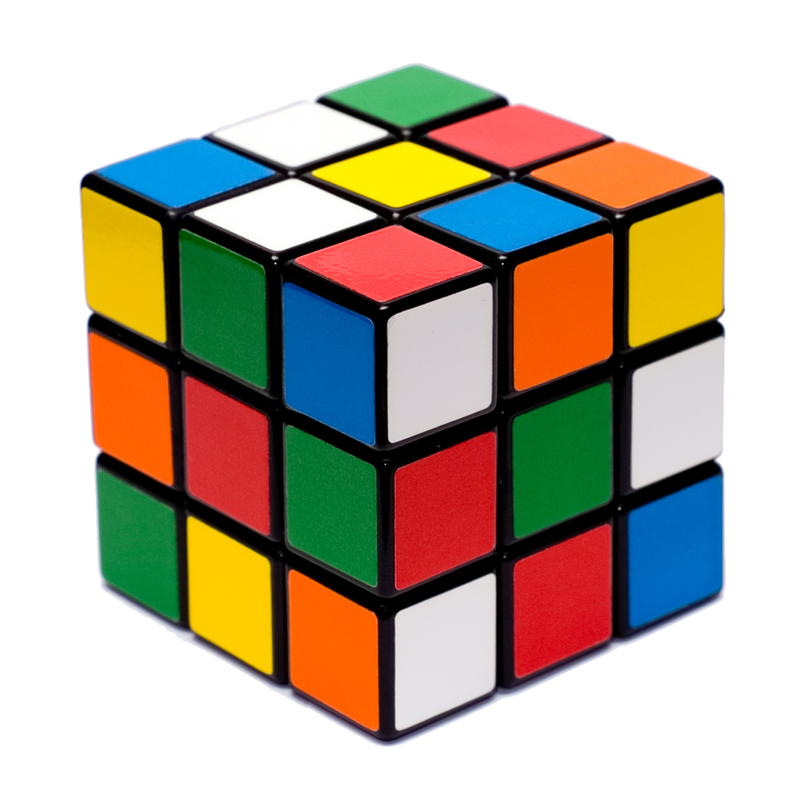 He compared the Iraqi situation to a Rubik’s Cube – a puzzling array of shifting loyalties, interconnected tribes, and religious sects. At the time, I thought it was a telling metaphor. But the metaphor was misleading. A Rubik’s Cube can be solved. Iraq couldn’t. Not by the U.S. Why? Because Iraq was and is an Iraqi problem, not an American puzzle. 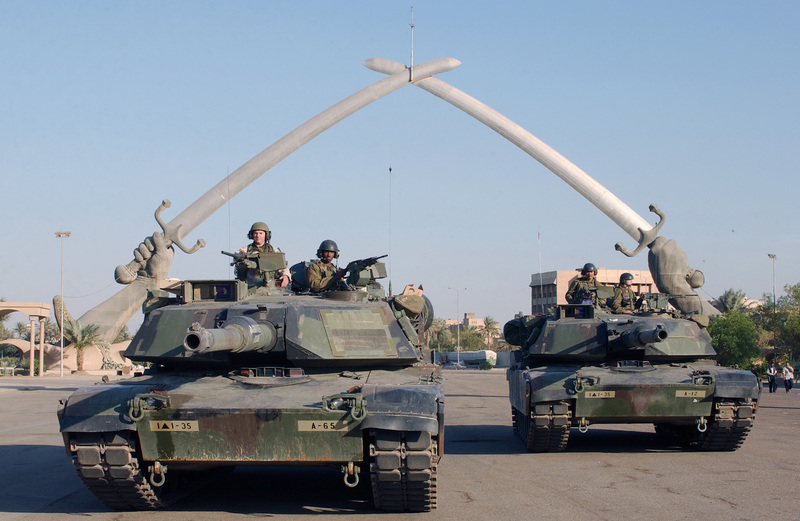 The more we twisted and turned the Iraqi cube, the more we avoided the reality that the heavily militarized U.S. presence in Iraq was a large part of the problem. Similarly, Afghanistan is an Afghan problem. Our long-term, heavily militarized, presence there is ultimately not in the best interests of the vast majority of Afghan people. Nor for that matter is it ultimately in the best interests of America. This conclusion may seem deceptively simple, even simple-minded. But it isn’t. It requires us to be humble. It requires us to recognize that other countries and people are not problems for us to solve. And American officials are loath to do that. They are loath to admit any limits either to their power or insight. Iraq and Afghanistan (or Yemen or Somalia or Syria) are not complex puzzles. They’re not Rubik’s Cubes to be flipped and turned and massaged until we get all the colors to line up for us. They’re impossible. They’re impossible for us, that is. We can’t “solve” them, no matter how many billions of dollars we spend, no matter how many troop brigades we send, no matter how many weapons we sell to them. The simple truth (that U.S. officialdom seeks to deny) is that we consume our own myths of global reach, global power, and global goodness. In the process we reduce other peoples and nations to puzzles. We play with them until we “solve” them to our satisfaction. Or we grow bored and tired and throw them away like yesterday’s toys. Other nations and peoples are not toys. Nor are they complex puzzles. Nor should it be puzzling when the peoples we’ve flipped and spun like so many Rubik’s Cubes seek redress – and revenge.